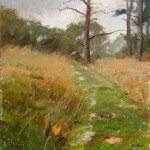 William works in oil and pastel. He views figures, landscape, or still life as opportunities to explore the effects of light on form. 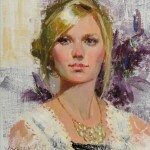 Painting from life, he seeks to capture the emotion of a particular moment and place. 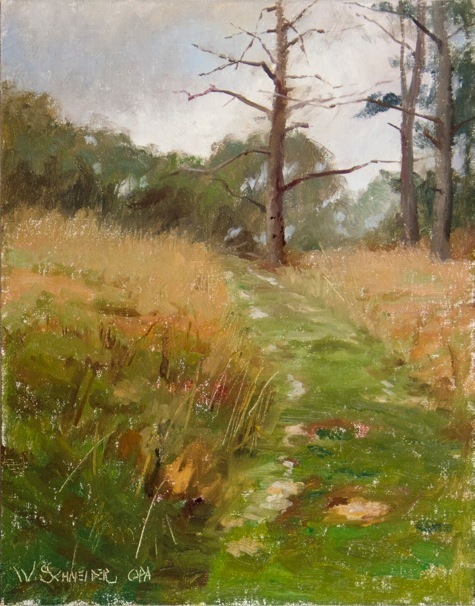 Sargent, Zorn, Fechin, and Sorolla have been influences. 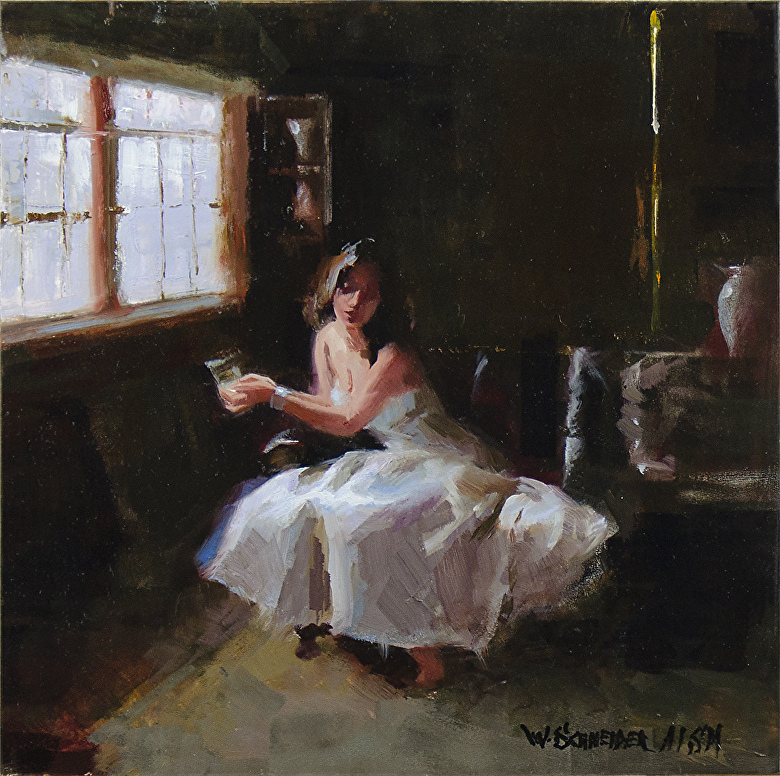 William initially studied art at the University of Illinois at Urbana. However, upon graduation he began a career in the music business (records on the Roulette and MGM labels). In the mid ‘80s, he entered finance (co-owner of an investment consulting firm, DiMeo Schneider and Associates). In 1990 he returned to his first love, painting. 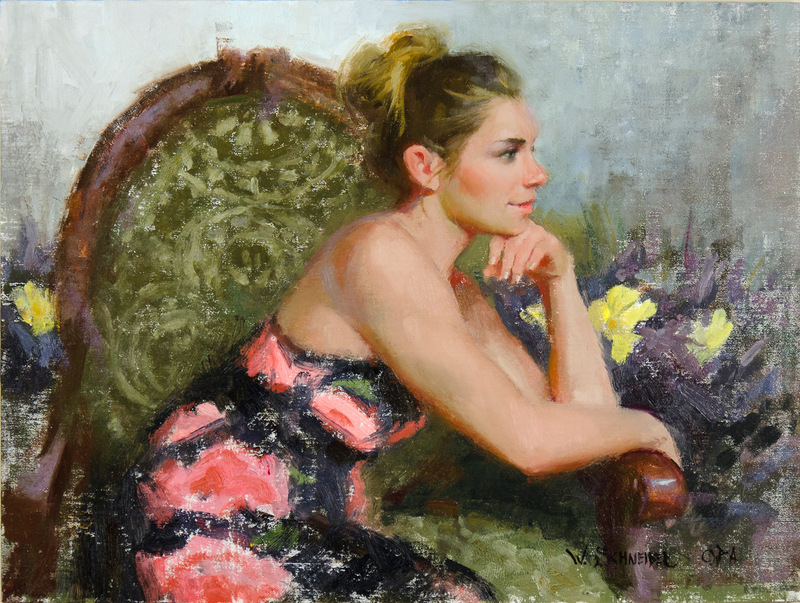 His skills were honed at the AmericanAcademy of Art in Chicago where he studied figure drawing with William Parks and oil painting with Ted Smuskiewicz. 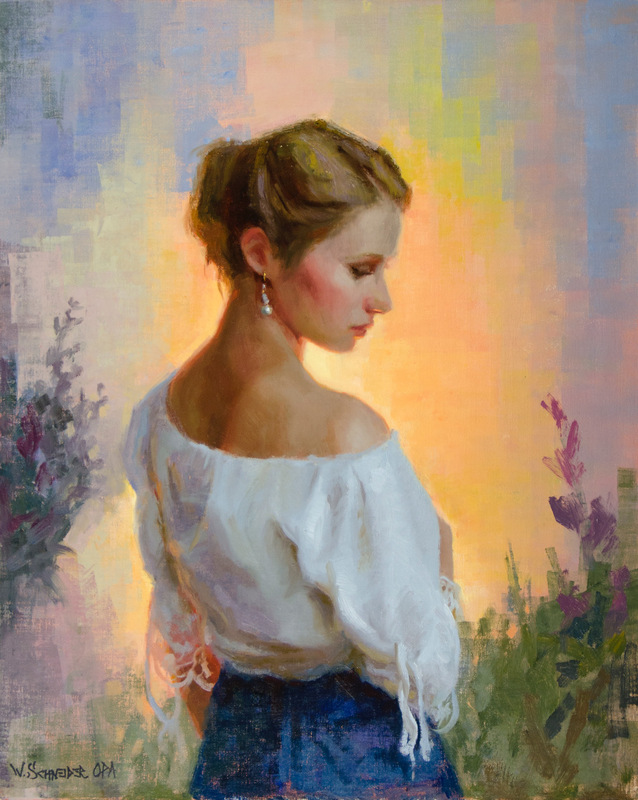 He continued his education through workshops with Carolyn Anderson, Dan Gerhartz, Scott Burdick, Harley Brown, Scott Christensen, Huihan Liu, David Leffel, and Richard Schmid among others. William has been featured in Art of the West, Southwest Art, American Artist, Fine Art Connoisseur, International Artist, The Pastel Journal, and WorkshopMagazines. 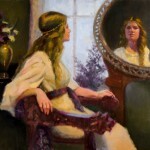 In addition his paintings have appeared in numerous books including: The Art of Oil Painting, Pastel II, Pure Color: The Best of Pasteland 100 ways to paint People & Figures. 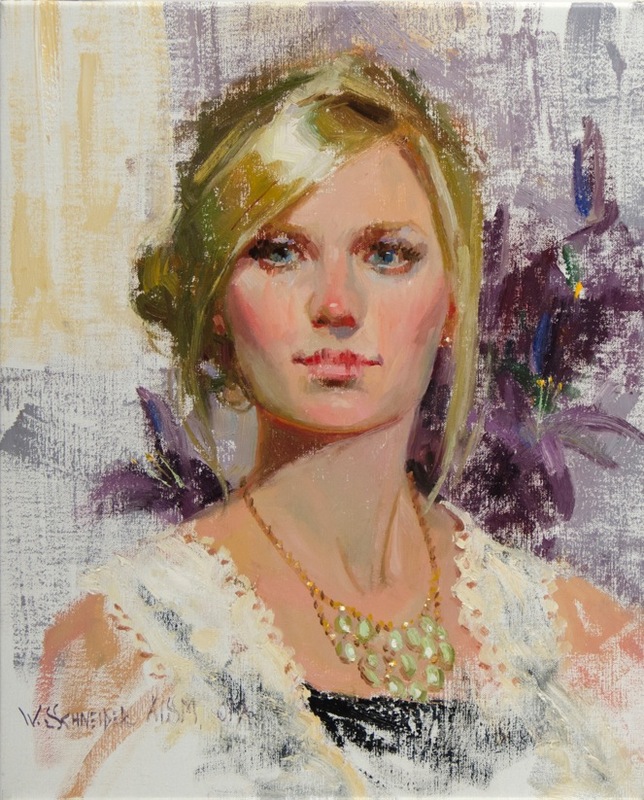 His work has received awards in exhibitions including those of: Academic Artists, The Degas Pastel Society, Oil Painters of America, The Pastel Society of America, Pastel Society of the West Coast, Portrait Society of America, and Salon International. 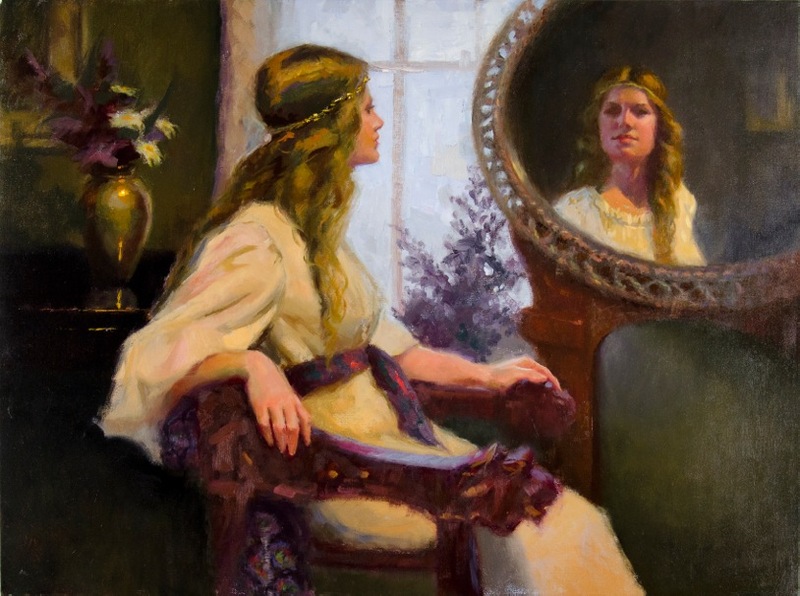 He is a member of Oil Painters of America (OPA), The National Oil and Acrylic Painters’ Society (NOAPS), The Pastel Society of America, The American Impressionist Society (AIS), and the Portrait Society of America. Bill was awarded signature status in OPA, and NOAPS . In addition the Pastel Society of America has recognized him as a “Master Pastelist” and AIS made him a Master Signature Member (AISM). His home is in Crystal Lake, IL with his wife Caren.